It’s the beginning of a new semester. Whether you are in your first semester of a new program, or in your fourth and final year, making sure you stay organized this semester may be the most daunting task you currently face. For some, like myself, organizing comes VERY easily—for others, finding a solution to keep yourself organized sounds about as easy as rocket science. After 3 years, I have come to realize that there isn’t one “golden rule” for organizing. It’s all about figuring out what works best for your schedule and lifestyle. That being said, this post will explore a few techniques that have worked for me. Agendas available in black or white covers this year. Stop by the SSU office with your student card to pick one out! For me, nothing is more satisfying than getting a new planner at the beginning of the academic year. The fresh pages, and blank lines are a clean slate, a new year awaits me. I know you may be thinking ‘Well Laura, planners are crazy expensive! !”…believe me I know. Don’t worry, here at the SSU we have free handbooks/agendas for everyone. They’re designed with you in mind! They have all the information you will need to succeed right at your fingertips. Better yet—they’re free! Yes, you read that right—FREE! Head to your campuses SSU office to get your hands on one! But make sure it doesn’t sit in the bottom of your bag. Put in your class schedule, all your due dates, and don’t forget to mark off all the events we have to offer you here at the SSU! Some of you may be thinking, I’d much rather just have all that information in my phone or on my laptop! If that is what works for you then go for it! Use your calendar app, or Outlook and use that platform to keep yourself up to date with all those important due dates. Ok, so this doesn’t mean you should go buy a giant and super expensive filing cabinet. One example of a filing system (which is what I use) is a binder. I use dividers and make a section for each class I have that semester, and put course syllabi in there and any essays or assignments I get back. You may not know this, but your course syllabus details exactly what you need to do to succeed in that specific course. Your syllabus is like the blueprint to success. Use it! Refer to it when you are studying for a test, or even use it as a way to keep track of how your course is evaluated. Can’t remember if that essay is worth 15 or 20%? Check your syllabus! I love technology. But I have come to realize that I have the WORST luck with it. Within one academic year (September to April) I had to get my laptop serviced 5 times. Thank goodness I had Apple Care or I’d be so lost. Anyways, after my 3rd or 4th visit to Apple, one of the employees recommended I get an external hard drive so I can back up my data and not lose all of my work (again). It’s the same concept as backing up your phone, so if you lose it or get a new one you aren’t awkwardly asking who is texting you because you lost all your contacts. 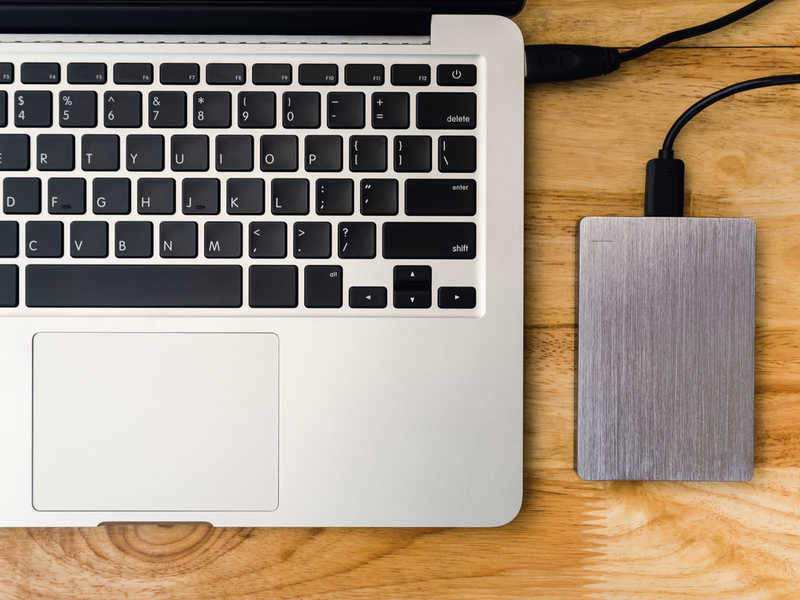 If you don’t have an external hard drive or that isn’t in your budget—because let’s be honest, I’d rather spend my food at the Marquee than on a hard drive — you can get a USB. You can grab one from the bookstore or even your local Staples. Save all your school files on that and keep it with you so you can access it at any time. I keep my USBs on my keys so I always have them with me. This may not sound like a fun task, but it will come in handy, believe me. Grab your course outlines your professors give you—you know the one crumpled at the bottom of your bag—and write out all your due dates. I make a master list on Excel and organize it by date, so I know what is at the top of my priority list. I keep a copy on my USB, and print off the list and keep it by my desk. As you go along the year and complete things off your list, just cross it off. It feels really satisfying after putting in lots of hard work to cross something off your list. I am a very visual person, so for me colour coding is what keeps me the most organized. And not to mention it makes due dates and assignments look far more visually appealing. I have all my work things in purple, my school due dates in green, and my volunteer schedule in red. That way when I flip through my planner I can quickly glance and see what is coming up in the week without having to read too many things. For those of you using Outlook, a great feature they have on there is called “Categories”. This allows you to set a colour and category for certain things. So you can do the same colour coding system but on a digital format.